Firstly, I would like to apologise for the delay since our last newsletter. We now have a new way to deliver our newsletters and crime alerts to you, it is called ewatch and we look forward to being able to again provide information to you in a timely manner. I ask everyone who receives this email to encourage others to join. ewatch is an easy way to find out what’s happening in your community. You can connect with your local Police and Council to help make your neighbourhood a safer and more vibrant place to live. So, be involved and keep informed. I would also like to thank those in the community who continue to provide us the valuable information we need to make a difference. With new technology there are now a number of ways to report incidents, complete forms, provide and obtain information from WA Police. 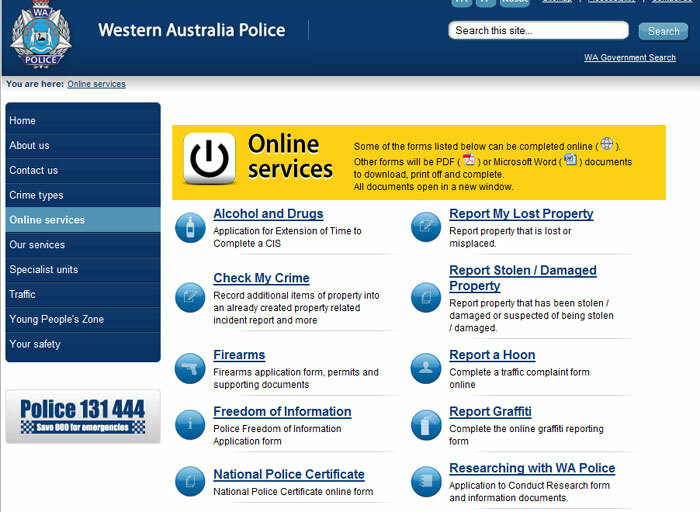 You can do this by going to the WA Police website and visitng our Online Services page. Please click here or on the image below to visit the page. We have again executed a number of search warrants targeting the sale and supply of illict drugs. 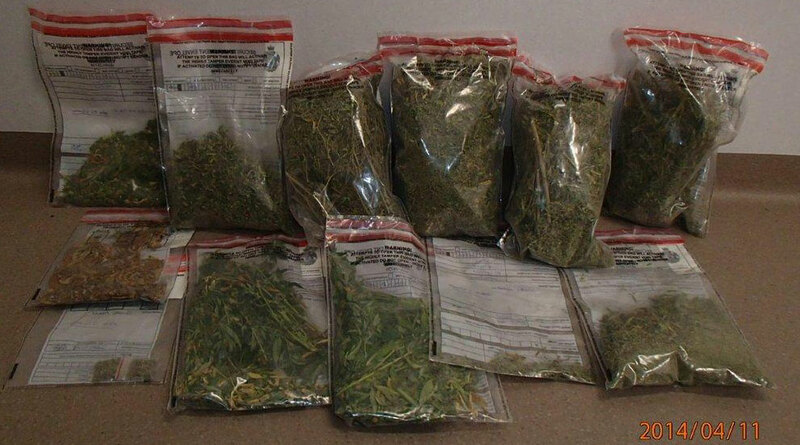 Four offenders will be attending the Mandurah Magistrates Court in the near future charged with drug related matters. We have confiscated several vehicles under the anti-hoon laws. We received timely and quality information from members of the public to assist us in nabbing the ‘hoons’. On Friday the 9th of May 2014, Waroona Police stopped a 18 year old Two Rocks man on the Forrest Highway. He had only held his driver’s licence for two months before having it cancelled in court. We then caught him travelling to “Groovin’ the Moo” at 177km/h. He will face the Mandurah Magistrates Court on charges of Reckless Driving and No Authority to Drive (Suspended), his vehicle was impounded for 28 days. 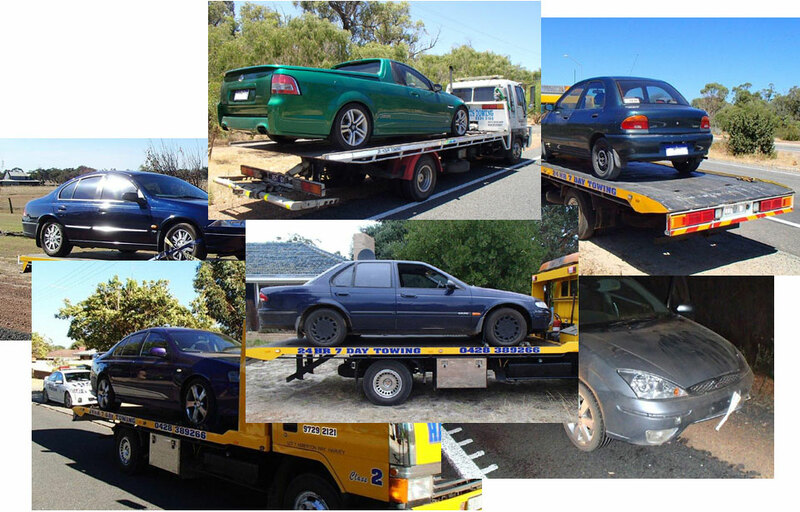 Below is a sample of some of the many cars seized in the last couple of months. 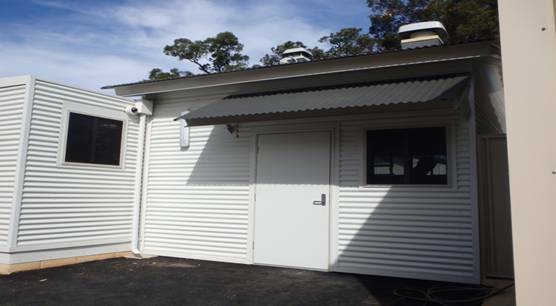 A new custody suite was recently installed to the rear of the police station. This facility is now in operation. We recently took possession of the below concept car. Our new vehicle, call sign RW202, has automatic number plate recognition capabilities. This identifies amoungst other things, stolen vehicles, unlicensed drivers and unlicensed vehicles. If you are looking to contact the Department of Transport within our police station please call 9733 3021. Our crime statistics cover residential burglaries, commercial burglaries, motor vehicle theft, graffiti and vandalism. Each offence is listed by suburb. If no offences were recorded in a suburb it will not be listed. If you require police assistance or see suspicious behaviour please call 131 444 immediately. If you have any information on a crime please call Crime Stoppers on 1800 333 000. See attached at Vineyard 28. Interesting information on gardens and bushfires.